Anthony Weiner pulled the plug on his congressional career Thursday afternoon after a bizarre sexting scandal short-circuited his chances of remaining in office. The 47 year old Congressman held a Press conference which was truly surreal to make his announcement. In keeping with the raucous nature of this tabloid scandal, one person shouted “Pervert!” as Weiner read his remarks and shouted such questions as, “Are you more than seven inches?” The heckler was reportedly a Howard Stern staffer. Weiner, who was a darling of the Progressive left gained most of his notoriety by his attack dog tactics against Republicans and most recently in going after the proposed Ryan budget. He was a fixture on Cable News never reluctant to lash out with his special brand of vitriol. Other than that, he was a virtual unknown outside of New York without a single one of the 191 bills he sponsored in congress ever having been passed. While his “sexting” scandal never rose to the level some of the recent sexual shenanigans by our political elite, he was quickly thrown under the bus by fellow democrats once their ability to”trot him out for attack” purposes ended. The few friends he had in Congress took to the hills and the Democratic leadership skewered him. Can you imagine? I never got a single tweet! With that she went back to sipping a glass of white wine from her vineyard and contemplating how her net worth had skyrocketed 62% to $35.2 million during the past year. Why are people complaining about this economy she pondered? Senate Majority leader Harry Reid was contemptuous when asked last week what advice he would give Mr. Weiner if he called him. “Tell him to call someone else” he sneered in disgust and walked away. 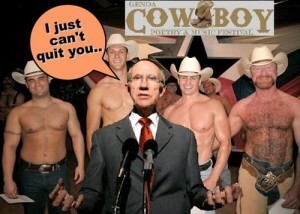 One of his staffers was caught writing furiously perhaps saving this sound bite as the title for a new poem to be used by Harry at this year’s Northern Nevada Cowboy Poetry Festival. My new poem: "Tell him to call someone else....."
In spite of the fact that Weiner’s constituents wanted him to remain in Congress, the leadership thought he was creating too much of a distraction from the Democratic agenda. Are they kidding? He was a blessing in disguise given what’s been happening for the past two weeks. Riots in Greece threatened to send the world financial system into a panic. With Spain and Portugal not far behind these were exactly the “nanny state models” that Progressives have been pushing for. Syrian troops were killing civilians in droves as they attempted to put down continuing protests against the brutal Assad dictatorship. At the same time, the entire military might of NATO combined with our “leading from behind” strategy has been unable to get rid of tin pot dictator Muammar Gaddafi and his rag tag army. Kinetic Military Action or Humanitarian Intervention…what gives President Obama?. New jobs figures have turned our Community Organizer in Chief’s “bumps in the road” into massive road kill while he jokes about there not being enough “shovel ready” programs for his failed near trillion dollar stimulus. One year ago today, the Obama administration launched its “Recovery Summer” publicity tour to bolster flagging support for the “stimulus.” Vice President Biden said, “The fact is, the recovery act is working.” But the fact is, it didn’t. “Recovery Summer” fizzled, much like the “stimulus” itself. I was not a big fan of Anthony Weiner, but I am familiar with his Congressional district and I can understand why they still support him. I despise the hypocrisy and self righteousness of politicians. 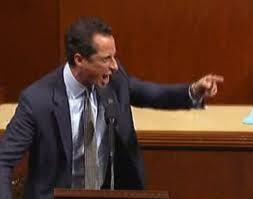 If sexting and lack of truthfulness were criteria for being ousted from office most of Capitol Hill would be empty. 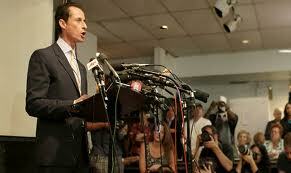 But have no fear, Weiner a Brooklyn boy, will be back in one way or another. You could virtually see him setting up his comeback by the statements at his press conference. Rumor also has it that Alan Colmes, talk radio host, Fox News contributor and one of Weiner’s most fervent media defenders is considering offering him a job as a co-host on his show. 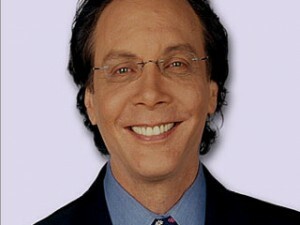 Imagine what a draw Weiner & Colmes or better yet Colmes & Weiner would be for a Progressive audience. I could really use a weiner on this show! “Rep. Anthony Weiner may be resigning in shame, but he’ll leave Capitol Hill with the same golden parachute afforded to all members of Congress who leave public service. Not a bad gig if you can get it! This entry was posted on June 17, 2011 at 2:43 pm. You can follow any responses to this entry through the RSS 2.0 feed. Both comments and pings are currently closed.